The house is located in the well-kept holiday park 'Noordzeepark' Ouddorp, a beautiful resort in South Holland, close to the sea. The central, detached and quiet bungalow (Plot 600 m²) sleeps up to 6 pers., Has a living area of ​​110 sqm and is generously equipped. On the ground floor there is a living room and dining room with large doors and exit is about two terraces. Fully equipped kitchen. On the ground floor there is a bathr. with shower and separate toilet. Living room. with cable / satellite TV, DVD player and stereo. Internet access available. On the first floor are 3 bedrooms. and add. Toilet. 2 bed. have twin beds in the 3rd large bedroom. There is a double bed and an add. Washing facilities. In this space, the formation of a child's travel bed is possible. OG designed with high quality laminate. In a lockable storage room is washing machine, tumble dryer and electric grill. Carts and garden furniture with conditions etc. are available. 2 car parking at the house. For more information: In the well-equipped kitchen is among other things a dishwasher, refrigerator with freezer, a microwave and a multifunctional vierflammiges gas hob with safety ignition available. Carts, garden furniture, sun loungers and umbrellas can be found in the covered side of the cabin. Possibilities for drying laundry and storage facilities for bicycles are also available here. The area is planted me a thick green hedge and therefore provides a good visual barrier. Due to the size of the property has two play areas. including Autumn), a large children's playground, soccer field and two tennis courts. For well-kept, clean and several times with the 'Blue Flag' (quality certificate) excellent sandy beach, walk about 10 minutes. Other localities, lifeguard, toilet and shower facilities as well as many new toys are available at the beach. To the center of the village of Ouddorp you need to walk about 20 min., By bike about 10 minutes by car 4 minutes. Here are more shops (supermarkets, bakers, butchers, drugstores, pharmacies, etc.) available. In 2007 Ouddorp was voted the most popular seaside resort of the Netherlands. Ouddorp located in South Holland and belongs to the province of Goree-Overflakkee. Additional Toilet on the upper floor (sleeping level). Prachtige vakantiewoning op rustig park, vlak bij de zee. Een zeer compleet ingerichte vakantiewoning, van alle gemakken voorzien. Grote zonnige tuin. Op loopafstand van het gezellige Ouddorp en veel fiets mogelijkheden. Vlakbij het mooie ruime en brede strand. Schönes Ferienhaus am Nordseestrand mit großem Garten und Sonnigen Terrassen. Schönes, voll ausgestattetes Ferienwohnung für 6 Personen. Nur wenige Gehminuten vom Strand und dem schönen Dorf Ouddorp entfernt. Gut ausgebaute Radwege für schöne Radtouren. Der Kontakt zu Herrn Speck war sehr freundlich und angenehm. Er hat sich viel Mühe gegeben damit wir uns in seinem Ferienhaus wie zu Hause fühlen. als Vermieter um das Wohl und die Zufriedenheit unserer vielen Feriengäste sehr bemühen. Das Haus ist einfach top. Ausstattung top. Vermieter top. Nordzeepark top. Ouddorp top. Es passt einfach alles. Sehr komfortables und gut ausgestattetes Ferienhaus, mit zwei großen Terrassen. Der Kontakt mit Herrn Speck als Eigentümer und der Verwaltung vor Ort, Herrn Huijsmans waren einwandfrei. Wir haben uns in dem Haus sehr wohl gefühlt. Insbesondere hat uns die gleichzeitge Nutzung des WLAN mit mehreren Personen sehr gut gefallen. Desweiteren hat uns der nah gelegene Strand sehr angesprochen (z.B. Drachensteigen lassen) und die Ausflugsziele in die nähere Umgebung (u.a. Rotterdam). Insgesamt betrachtet ein sehr erholsamer Urlaub. Herzlichen Dank für die Bewertung. Es ist immer erfreulich, wenn Feriengäste erkennen, wieviel Mühe sich ein Vermieter für einen erholsamen und angenehmen Ferienaufenthalt gibt. Tolles Haus und eine schöne Gegend. 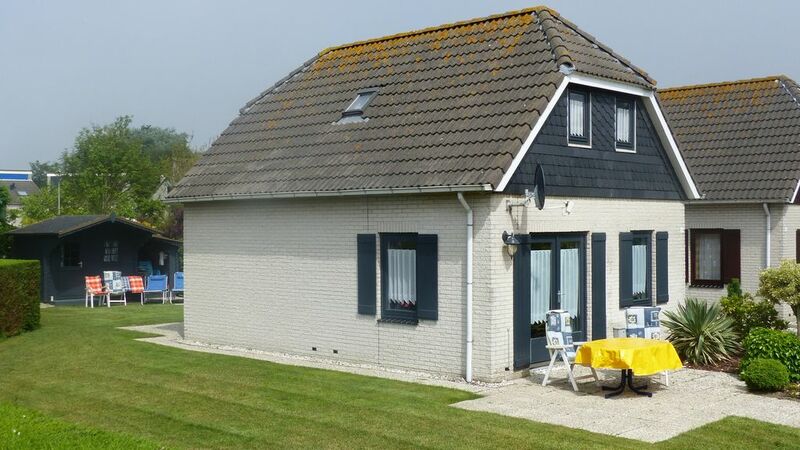 Our detached and quiet cottage is centrally located in the front part of the beautiful 'Noordzeeparks' in Ouddorp (South Holland). There are only about 10 minutes walk to the award-winning and most beautiful beach in the Netherlands. and so on. The beautiful sandy beach stretches 25 km along the island. In the quiet Grevelingenmeer sailing, surfing, diving and fishing. Ouddorp and the whole island is a paradise for cyclists, skaters and walkers. Relaxation and nature are waiting for you! An- und Abreise ist grundsätzlich immer Samstags, Anreise möglichst von 15 bis 17 Uhr, Abreise spätestens bis 10 Uhr. Kosten WLAN im Mietpreis enthalten. Außerhalb der normalen Saisonzeit sind auch Buchungen ab 3 Tage mit Absprache möglich. Nebenkosten: Endreinigung ab 2019 60 € obligatorisch, Wasser/Abwasser ab Jan.2019 bis 2 Personen (zzgl. Baby) 17 € pro Woche, ab 3 Personen 21 € pro Woche, Stromkosten bei zwei Personen (zuzüglich Baby) Jan. bis 18.5.= 19 € pro Woche, 18.5. bis 31.8.= 14 €, 31.8.19 bis 4.1.20 = 20 € proWoche, ab 3 Personen und mehr: Jan. bis 18.5.= 25 € pro Woche, 18.5. bis 31.8. = 20 € pro Woche, 31.8.19 bis 4.1.20 0 27 € pro Woche, Gas nach Verbrauch pro m³ 0,80 €, Kurtaxe Gemeinde 1 €, Verwaltungskosten Mietvertrag 20 €. Änderungen bei Kostensteigerungen möglich. Gilt nicht für abgeschlossene Verträge! Bei Anreise wird ein Nebenkostenvorschuss von 100 € erhoben, der am Tag der Abreise mit Verbrauch für Strom, Wasser/Abwasser, Gas und Kurtaxe Gemeinde verrechnet wird.